OCTOBER 5, 2008 -- Peggy Prelli always looked to others instead of herself. "Her thoughts were always on her family and helping others," her son F. Philip Prelli said. Gertrude "Peggy" Roraback Prelli was born Nov. 30, 1921, in Winsted, and died on Saturday, Sept. 27, 2008. Peggy lived her whole life in Winsted. She grew up on Old North Road where her father, the late Earl Roraback and mother, Gertrude Bull Roraback, had a small farm. Along with her three sisters and brother, they grew up tending to the farm chores and attending the one-room school house where their aunt taught. "She went up early in the morning to start the fire and she helped with the younger children," her son said. Peggy graduated as salutatorian of her class at The Gilbert School. "One of the things she made sure of is that we attended college because she didn't have the opportunity herself." After World War II, Peggy met her husband, Frank Prelli. They were married in 1947 and had three children. They were married 59 years before Frank's death in 2007. Peggy and Frank shared goals that were simple and sure - family and community service. They were members of the Grange since they were teenagers and continued the tradition with their own children. 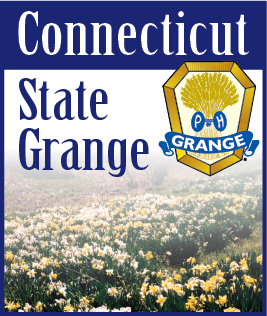 The Grange, a national fraternal organization that started in 1867, is an agricultural society that was started to help organize farmers, Philip Prelli said. Besides sponsoring fairs, dinners and community service, the grange lobbies for farmer and agriculture issues. "It's a family organization and her parents belonged, as well as her brother and sisters, and children," he said. Peggy was a Golden Sheaf Member of the Grange, Past Master and 72-year member of Riverton Grange #169, past voting delegate to the National Grange and a member of Mountain County Pomona Grange. She also belonged to and was a Past Matron of the Magnolia Chapter of the Order of the Eastern Star. Peggy was known for her work as a Grange Master, and was the first female master of the Riverton Grange, where she served in that capacity for 34 years of her 67-year membership. She was commended for her assistance at other granges, her role as a secretary for many years and author of the grange newsletter. "The grange was a major part of her life," Philip said. Peggy was also well-known for selling ladies clothing in her shop, "Peggy's," on Main Street in Winsted. "There were no malls then. Women would see the dresses in the window and save their money for a new dress for Easter," her son said. "She really enjoyed meeting and talking with the people." After 25 years in the store, she joined her husband in his insurance agency, Prelli Insurance Agency. Peggy had many talents, but the best ones were making her family feel at home with her delicious turkey and ham dinners, pies, sewing and knitting. "Her grandchildren were very important to her," her daughter Gail Prelli said. "She was the greatest grandmother. She knew grace and humility and she always encouraged us and her grandchildren to reach higher for our goals." She is survived by her children, F. Philip Prelli and his wife Maureen, Mark Prelli and his wife Cindy and Gail Prelli and her husband Charlie Bierce. She is also survived by four grandchildren, Jennifer Prelli-Hester, Marie Keefe, Mark Prelli II, and Faith Prelli; four great-grandchildren; and several nieces and nephews. She is predeceased by a brother, Earl Roraback Jr. and survived by three sisters, Kathryn Millard, Phyllis Bierce and Gladys Anstett. Memorial contributions may be made to the Riverton Grange or the Granger Trust Fund.